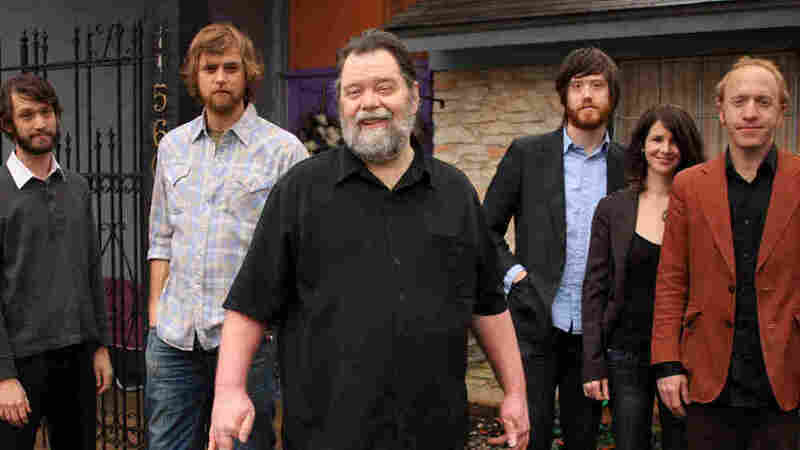 Roky Erickson On World Cafe : World Cafe The psychedelic-rock forefather enlisted Okkervil River's Will Sheff to produce his first album in more than a decade, True Love Cast Out All Evil. The Austin, Texas, band backs Erickson in this session with host David Dye. Roky Erickson, the former 13th Floor Elevators frontman, hadn't released an album in more than 14 years -- until this spring. True Love Cast Out All Evil is full of hard times, a theme Erickson knows all too well. Most of the record is composed of unreleased songs written throughout Erickson's ordeals with mental illness, drugs and imprisonment. Though the subject matter isn't particularly heartening, the songs aren't just about the hardships. Love and spirituality make multiple appearances. The album was produced by another well-known musician from Austin, Texas: Will Sheff of Okkervil River. In fact, the indie-rock outfit serves as the backing band for Erickson's comeback album -- and this session from World Cafe. It was one of Erickson's wisest creative decisions: The raw blend of rock, country, blues and gospel turn out to provide perfect accompaniment for the visionary's rugged vocals.